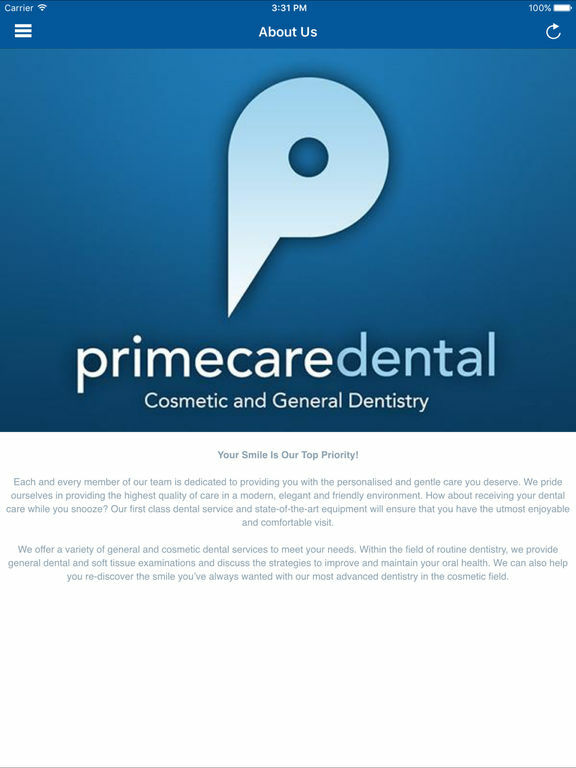 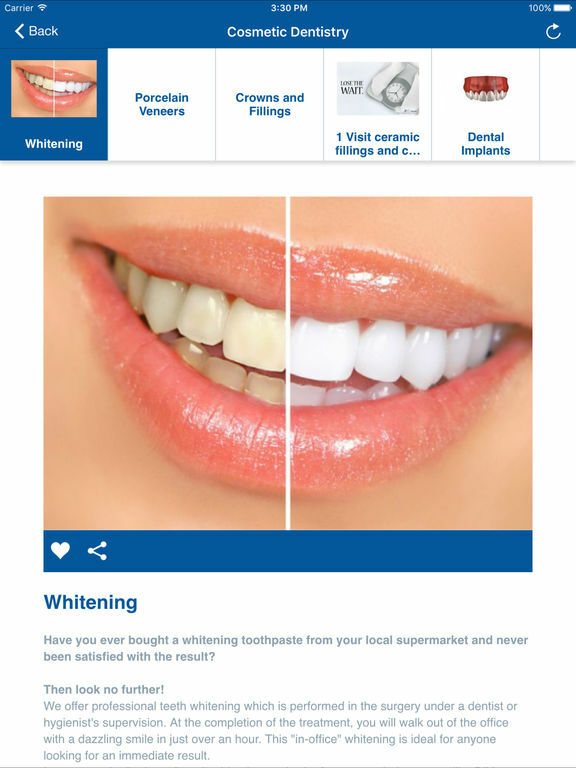 The Primecare Dental app allows customers to stay up-to-date with Primecare Dental’s latest news, promotions, events and galleries. 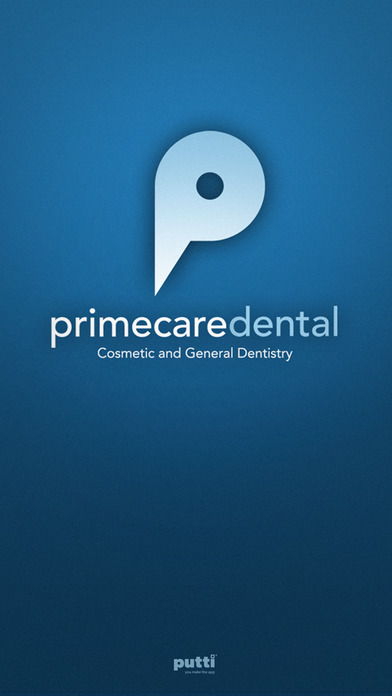 The app also allows Primecare Dental’s loyal patrons to redeem in-app coupons, giving them special deals not available to the general public. 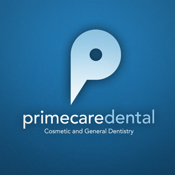 Not sure where Primecare Dental is? 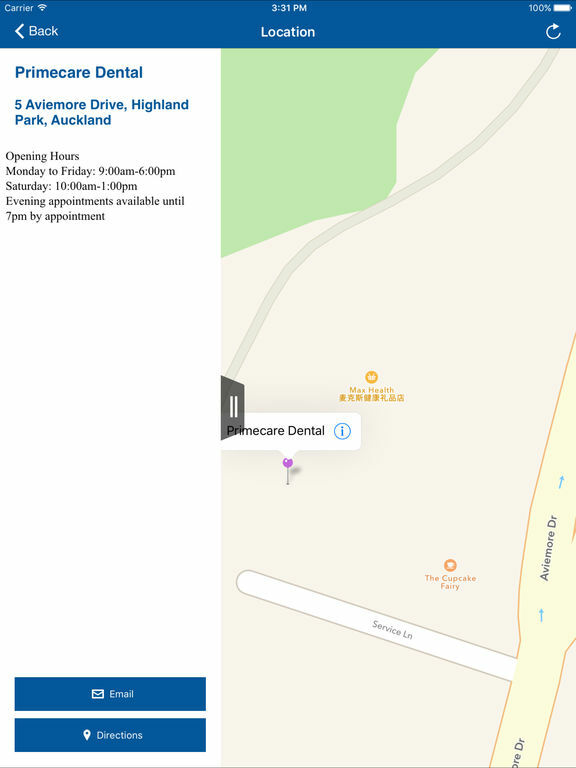 With the app, you will always be able to find your way here. 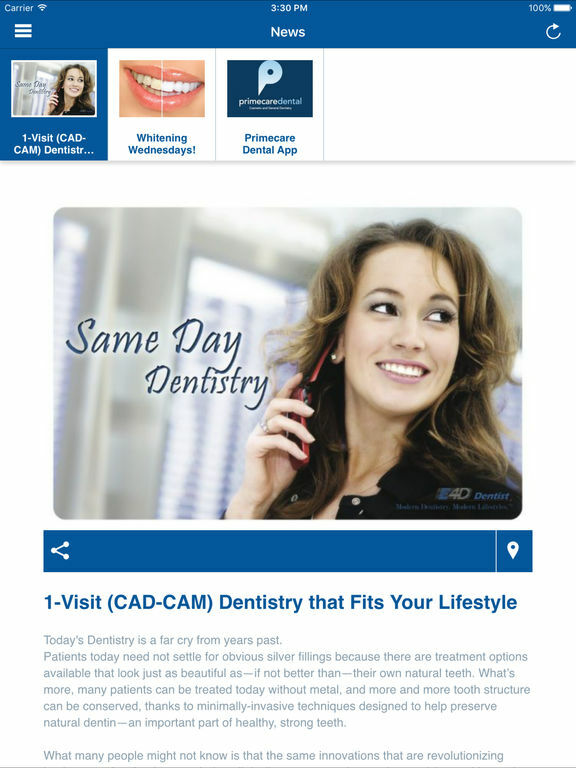 Be sure to allow push notifications to see Primecare Dental's most current promotions and news.